Cognex Corporation (NASDAQ: CGNX), the world's leading supplier of industrial barcode readers and machine vision, today announced the broadest suite of ESD-Safe Barcode Readers available on the market. DataMan® 360, 150/260, 70, and 50 series fixed-mount readers, as well as DataMan 8050HD/HDX corded handheld readers now offer models with ESD-safe housing to prevent damage to components that are electrostatic discharge sensitive. ESD—the sudden flow of static electricity between two objects—can damage electronic devices, spark explosions or fires in flammable environments and cause data failures. Cognex ESD-Safe Barcode Readers combine ESD-safe plastics for all enclosure parts with an antistatic coating for all optical parts to prevent costly damage to components. "Electrostatic discharge is a costly threat to a broad range of industries, including electronics, semiconductors and medical devices," says Carl Gerst, Cognex Senior Vice President for Barcode Reader Products. "ESD costs the electronics industry billions of dollars each year by affecting production yields, product quality and customer satisfaction. 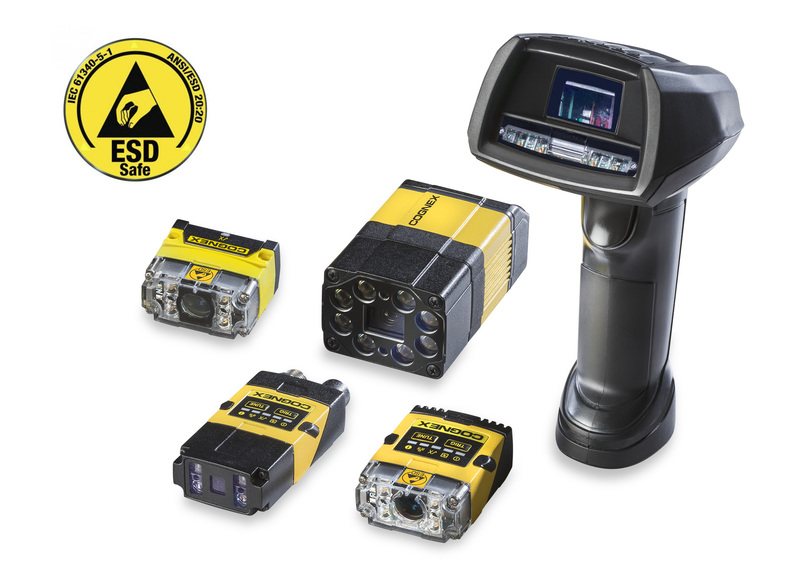 Cognex designed this line of ESD-safe readers to help customers meet strict ESD safety requirements, and also minimize damage to valuable electronics components." DataMan fixed-mount barcode readers also offer industry-leading read rates with patented 1D and 2D code reading algorithms to read the most challenging and degraded codes. DataMan 8050HD/HDX corded handheld readers are designed to reliably decode challenging 2D direct part mark (DPM) codes as well as 1D barcodes. The rugged ESD protective housing ensures ESD safety in even the harshest industrial environments. DataMan ESD-Safe Barcode Readers are available now. For more information, go to www.cognex.com/esd-safe.